In the quiet of the Luberon, this 3-star hotel welcomes you with warmth for a weekend of charm and discoveries. During a weekend with family or friends in the Luberon, the hotel Le Pré Saint Michel, offers you to stay in one of its rooms decorated in Provencal style. For a weekend of relaxation in the heart of the nature of the Massif du Luberon, this 3-star hotel is an ideal destination. 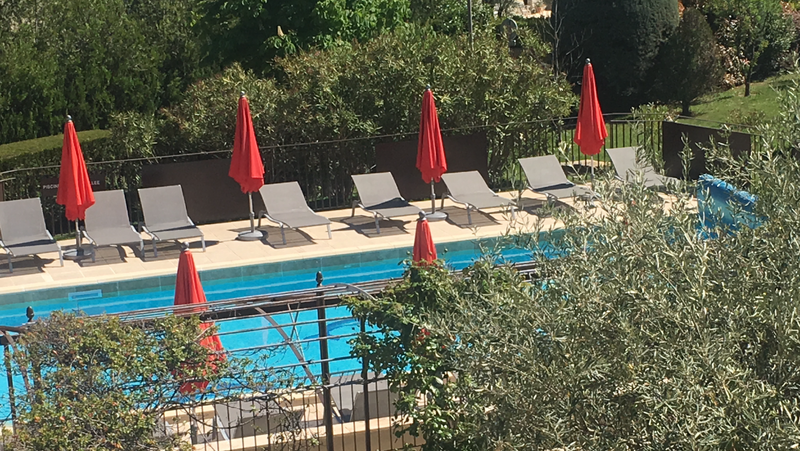 A swimming pool and sun terrace will relax and scents and colors of the garden will relax for a weekend of relaxation successful in Provence. Le Pré Saint Michel Manosque invites you to escape the time of a weekend and invites you to discover the city of Manosque and the unique landscapes of the surrounding Luberon. This charming character and offers a walk in the city center of Jean Giono and discover the trails of Parc du Luberon for a memorable weekend. Between landscapes of Luberon and the inimitable beauty of the city Manosquine, the hotel Le Pré Saint Michel welcomes you in a warm and typical Provence for a weekend exotic.